KPG 8kW Diesel Generator | Equipment Source Inc.
Powered by a Kubota diesel engine, this durable generator set produces 8.0 kilowatts of prime power output. 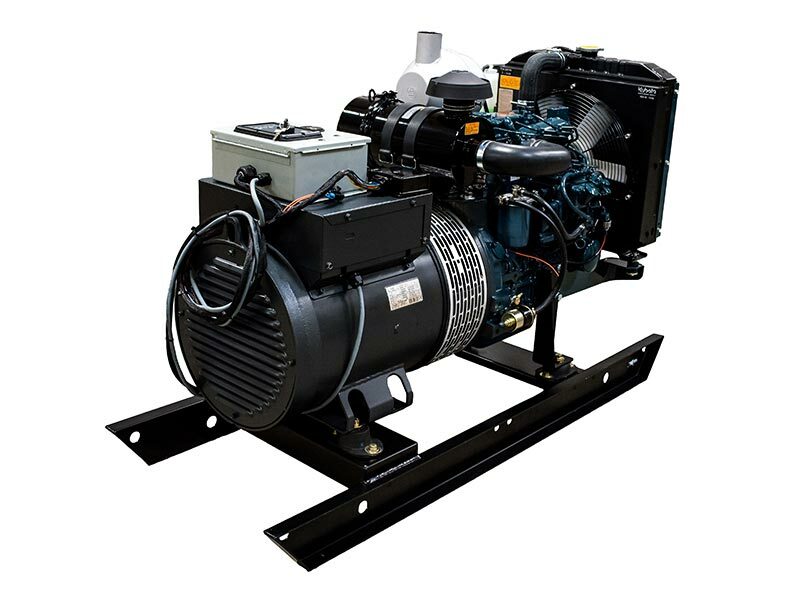 The engine and generator are directly coupled and mounted on a rugged steel skid. All components are suitable for prime or intermittent usage. The entire set is thoroughly load tested prior to shipment. UL approved construction.